Head south from the Riva del Garda Hydroelectric Power Plant until you reach the beginning of the path on your right, before the tunnel. This trail winds along the lake, overlooking the water, with amazing views at every bend. Along the way you can have a cappuccino and relax a little in the cosy Belvedere bar. When you get to the bridge across the Ponale Valley, you can decide whether to go up to the right to Lake Ledro or go down to the left to Pregasina (where you can take the public transportation back to Riva). 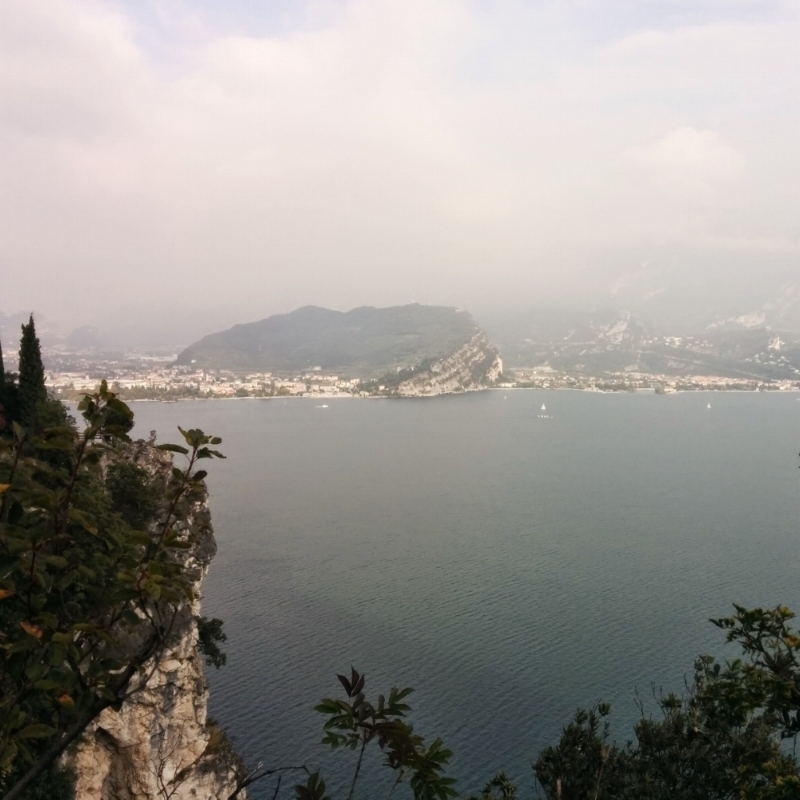 Starting from the center of the town of Nago, above Torbole, with a short walk you get to the ruins of the ancient Penede castle, from where you have a beautiful view on Lake Garda. In a nice corner there's a comfortable table, where you can taste the delights that you can find inside our special picnic basket, enjoying a breathtaking view. The "Roman bridge of Ceniga" is a place that you have to visit during your stay in the Garda Trentino. There are several access roads to reach the place. The easiest is to reach the parking space located at the entrance of Ceniga, on the road heading to Dro. Once you exit the parking space, you will find directions to the bridge. You have to walk on a paved road until you reach it. This is a fabulous place; the bridge allows you to cross the river Sarca, which rises on the Brenta Dolomites, in Madonna di Campiglio, to flow into Lake Garda.